Specificity: This kit targets the common sequence of human, mouse and rat, and thus may be used to detect ANP expression in all these species with high specificity and sensitivity. 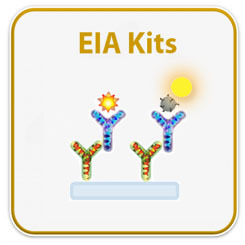 Cross Reactivity: This EIA kit shows no cross-reactivity with any of the cytokines tested: Ghrelin, Nesfatin, Angiotensin II, NPY and APC. 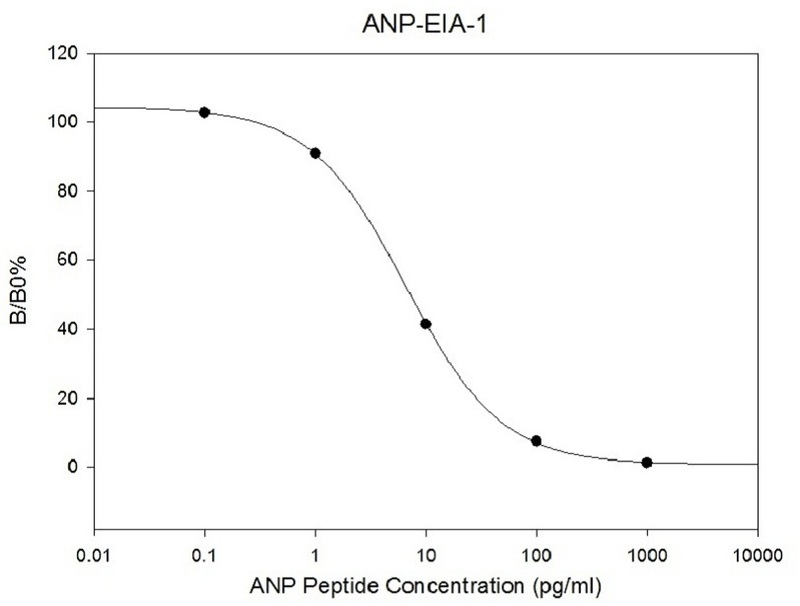 Standard, Biotinylated Atrial natriuretic peptide, and Positive Control should be stored at -20°C after arrival. Avoid multiple freeze-thaws. The remaining kit components may be stored at 4°C. Opened Microplate Wells and antibody (Item N) may be stored for up to 1 month at 2° to 8°C. Return unused wells to the pouch containing desiccant pack and reseal along entire edge.